What Can I Expect? - The Law Offices of Mark C. Hauslaib, Esq. The Law Offices of Mark C. Hauslaib, Esq. 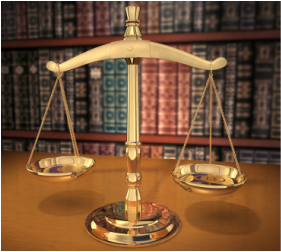 Legal matters can be daunting and confusing. They don't have to be. Here's what you can expect when working with Attorney Hauslaib. A visit from the police. A call from a prosecutor. An appearance before a judge. All of these can be intimidating experiences without the advice of a skilled attorney. That's where Attorney Hauslaib comes in. He is your first line of defense. Attorney Hauslaib's job is to act in your best interest. Which is why he is going to be your partner in this process, fully explaining the matters at hand, counseling you on your options, and delivering the best outcome for you and your loved ones. It only takes a phone call to his office to reach some peace of mind. Attorney Hauslaib will speak with you directly to learn the specifics of your case. He will go over the decisions to be made - without the confusing legalese. Seamlessly in the background, he and his team will research necessary case law and precedent to establish the best resolution strategy. And if your matter reaches a court room, Attorney Hauslaib will stand before a judge and jury armed with the facts, and decades of experience, to ensure your rights are protected. Attorney Hauslaib will act as a buffer between you and the confusing court system. Everybody is entitled to a strong defense. Let him deliver yours.